Rejoice. Rejoice. 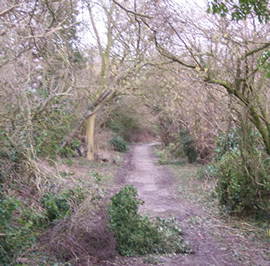 A new bridleway. North Yorkshire County Council has just made a modification order, adding a bridleway to the Definitive Map and Statement across the River Nidd. Equestrians have been campaigning for years to get North Yorkshire County Council to record a public bridleway in this way, providing a link from bridleways in Tockwith to those in Kirk Hammerton. In 2008, in order to bring this matter to a conclusion, The British Horse Society submitted a Definitive Map Modification Order application for this bridleway to be added to the Definitive Map and Statement. The Council’s Planning and Regulatory Functions Committee Sub Committee have finally agreed to make the order. The Society’s Director of Access, Safety and Welfare, Mark Weston, said ‘It is fantastic that the first hurdle to get this route onto the Definitive Map has been cleared after all of these years of campaigning and that an order is now going to be made. However if objections to the order are submitted it is likely that the matter will proceed to a public inquiry so the fight continues. It is a shame that we have to fight so hard to get these improvements to increase the paltry 22 percent of access that horse riders have to the public rights of way network." Every week local authorities across England and Wales send out dozens of consultations, notices and orders concerning the recording and management of public footpaths, bridleways and byways. Most of this information is required by law (or government guidance) to be sent by all authorities to a list of 'prescribed organisations'. If each envelope costs a local authority just £1 to send out (and the total cost is probably considerably more than that) then the national bill for this essential service is at least £30,000, and that does not include anything for handling and onward distribution by the recipients. 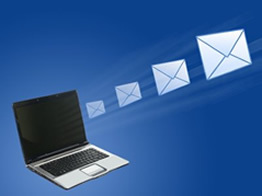 These notices, orders and consultations are all produced on word processors, and so it is very simple to output each document as a 'PDF' file, with a small file size, for distribution by email. Almost four years ago, in 2006, the Byways and Bridleways Trust asked defra to take steps to institute the necessary procedural changes to cause local authorities to swap from paper to PDF. defra's Countryside Division is the government department responsible for rights of way matters. Defra shuffled the matter off to the Department for Communities and Local Government, and nothing happened. In June 2010, after the Coalition Government had announced its intention to save taxpayers' money in all areas, the Trust again wrote to defra asking that this change be implemented. Again defra said 'not our problem' and pushed it across to DCLG. Two months later and absolutely nothing has happened. The incredible network of public footpaths, bridleways and byways in England and Wales is a tremendous benefit to the nation's health and heritage. Just like the NHS, Armed Forces, and Education it costs money to run, but there is no excuse for this 'cannot be bothered' attitude from government departments, particularly when the remedy is so easy to deliver. The Trust calls upon the Secretary of State to appoint a senior civil servant to make the change happen. We agree. It is such a simple idea. It would save so much money - some of which could even be spent on improving our byways and bridleways.